OK, now don't laugh.... Just wanted to show you the view from our balcony in Orlando. 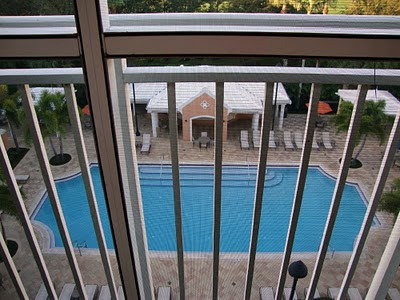 I know it looks like we're actually in prison, but we had a screened balcony overlooking a pool. It was much prettier in person :-). So long, Florida... We'll be back! !